Most states have laws which punish insurance companies when they engage in unfair settlement practices and insurance bad faith. These laws were designed to protect consumers from an insurance company’s wrongful denial of a claim. 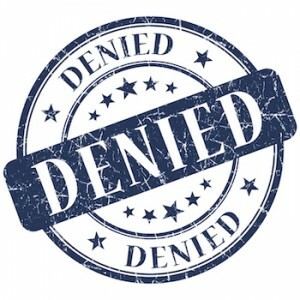 Unfortunately, most people with long term disability insurance plans whose benefits were either wrongfully denied at the beginning or were cut off later on find that their state’s laws pertaining to insurance bad faith and unfair claims practices do not apply to the long term disability insurance carrier. Most people obtain their long term disability benefits from their employer and as a result the disability insurance plan is considered an employee benefit plan regulated by federal law. The federal law which regulates employee benefit plans is the Employee Retirement Income Security Act (ERISA). ERISA was enacted with the primary purpose of establishing uniform standards to be applied to employee benefit plans, including disability plans provided by employers. Many employer benefit plans cover employees in several states and having to comply with each state’s regulations was thought to be too difficult for the plan administrators. It was thought that having a uniform set of federal regulations would not only ease these burdens, but would also give consumers uniform rights. The way the federal government made ERISA the one uniform law pertaining to employee benefit plans and employer provided disability plans, was to include within ERISA language which pre-empts state law from interfering with these plans. Unfortunately, ERISA did not provide consumers with the variety of protections that states have adopted to prevent deceptive practices and insurance bad faith. This means that a consumer’s rights with regard to these plans are for the most part governed solely by ERISA. As a result, when a long term disability insurance carrier acts in bad faith and wrongfully or unfairly denies a claim or cuts off or reduces benefits in a LTD plan governed by ERISA the consumer must seek his or her relief within the confines of ERISA.